Last week, I began a series of posts about the British Council’s Future Leaders Connect Programme, you can find the first here – where I discussed the purpose of the programme and the application/selection process. The programme was divided into two phases – we spent the first 5 nights at the University of Cambridge and the remaining 4 nights in London. Cambridge was amazing! Not only was the ambience amazing/serene, the entire time spend there provided me with a good opportunity for self reflection, introspection and deep thoughts. Honestly I do not know where to begin because it was an absolutely fabulous experience but I shall do my best to cover both the work and fun parts. At Cambridge, we lived and had our daily sessions at the Moller Centre, Churchill College. The Moller Centre is a world-class dedicated residential leadership development and conference centre. Honestly, I found the architecture, ambience, spaces and colours purposely designed for thinking, reflection and relaxation. I thought the rooms were quite cosy. I cannot possibly write about all the sessions we had but I shall highlight some of my favourite. Everyday we had sessions with staff of the Moller Centre: Richard Hill – Associate, Moller Centre Executive Education; Cathy Butler, Moller Centre Executive Education – Director of Programmes and Gillian Secrett – the CEO. Their sessions were focused on leadership and they consistently forced us to think deeply and evaluate our perceptions and styles of leadership; define the values we think we should have as Leaders evaluate our leadership skills. This guy was an amazing talent! He just casually walked past tables and then illustrate things he observed. Well, this is me during one of the sessions..lol ! Often times we had to work in groups to accomplish tasks and discuss our policy visions; in retrospect, I found this sessions very important as consistently talking about my vision caused me to rethink, reflect and reevaluate my plans. One thing I liked was the thought that was put into the sessions, the table designs, writing materials and other props were often rearranged to suit the nature of each session. One of my best panel discussions was ‘Policy and Leadership in practice’, the Speakers included Lord Richard Wilson- Former Cabinet Secretary from 1988 – 2002; Abhik Sen- Head of Policy and Research, Commonwealth Secretariat and Kajal Odedra – UK Director, Change.org. I was really intrigued by Lord Richard wilson’s presentations as he elaborated on the practicalities of policy making especially the role of power in politics. I found it very insightful because he was very candid about the struggles policymakers face when trying to strike the balance between politics and policy. I have always found it a bit naive when people feel it is possible to be a ‘technocrat’ or ‘policymaker’ and not care about politics. This is because to the extent that policy making involves the allocation of resources, it will definitely have political implications. Here are some gems from Lord Richard Wilson’s remarks. Policy is all about power, you have to understand power to make things work. People tend to underestimate their own power, if you work together as a group, you will be much more powerful. Power is a skill that can be learned. Power is fluid, it moves. Power attracts more power, so powerful people delegate power. 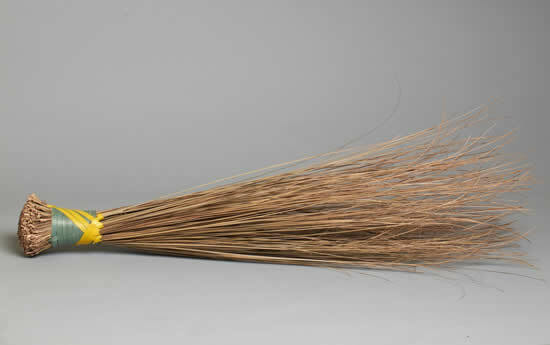 We brought a broom in response to question 1, we chose it given its ubiquitousness in all Nigerian homes. We think that good leadership in Nigeria should be pervasive across all classes, religion and ethnicities. Also we think that good leadership should be unifying, an individual broom stick is useless, only a collection of broom sticks can be used to sweep; thus Nigeria is stronger together than apart. We choose the Nigerian coat of arms to represent the leadership needed in the future; visionary like the eagle and courageous like the horses. We think the ‘Y’ sign which symbolises the confluence of river Niger and Benue illustrate how we can leverage our diversity for greater good. Finally the grass which represents fertility can also be used to represent fertility of ideas, innovation, creativity etc. Finally, we took the Mortar and Pestle to represent a key characteristic leaders will need – this item is found in almost all Nigerian homes and is used to combine spices or food items into very beautiful outcomes. We think that leaders should be strong, resilient, adaptable and willing to go through difficult conditions knowing that the end process will be desirable and worth the stress. We had a session with Dr Steven Wooding of Cambridge University who took us through the use and misuse of data in policy making. I found it very useful as it reiterated the need to be careful when analysing policy proposals or arguments supposedly backed up with data as it is very malleable. I also found the design thinking class very helpful especially for brainstorming and thinking through ideas, I never realised how supposedly simple questions like ‘why’ and ‘how might we’ could ease our thought process. It was not all intellectual and deep stuff, despite how intense and demanding the programme was, we made out some time to have fun in Cambridge. Upon arrival, we were taken on a tour round Cambridge. I felt like I was being taken back in time as every single thing – buildings, rivers, trees etc. appeared to be steeped in such deep history. Fun fact – this river was named is ‘river cam’ and then a ‘bridge’ was built over it, and that’s how you get the name ‘Cambridge’ – haha! We were hosted to a formal dinner at Peterhouse College. Honestly, it felt like we were in a Harry Potter Movie, lol! One of my best memories from the evening were the commendations the Nigerian ladies received as we were beautifully clad in ‘Ankara’ – our traditional outfit; safe to say we ‘killed’ it – lol! Finally, we engaged in a traditional Cambridge activity ‘punting’, it was so much fun exploring the sounds and sights of beautiful Cambridge along the river Cam. Honestly, this post does not fully capture the wonderful experiences and beautiful memories that were created at Cambridge! I am thankful to the British Council for this once in a lifetime opportunity. Make sure you follow the blog and watch out for part 3 where I share my rockstar experiences in London – Walking with Kofi Annan, Ban ki Moon, Graca Machel and Richard Branson; visits to the UK Houses of Parliament, BBC and no 10. Downing street. You cannot miss this. Previous British Council Future Leaders connect diaries! Part 1. – Application and selection process. 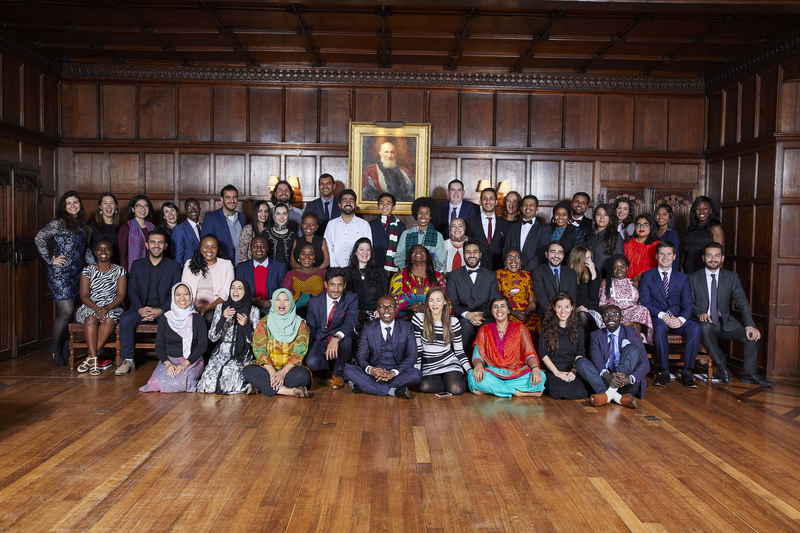 Next British Council Future leaders connect diaries – Part 3: Meeting the Elders, visiting the UK Houses of Parliament and No.10 Downing street. Thank you so much for following the blog, glad you enjoyed it!